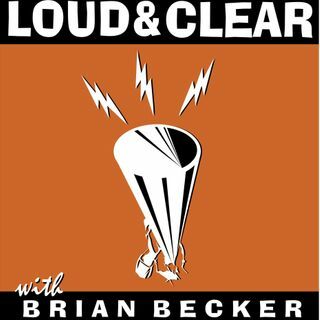 On today's episode of Loud & Clear, Brian Becker and John Kiriakou are joined by Mark Sleboda, an international Affairs and Security Analyst, and Rick Sterling, an investigative journalist and member of the Syria Solidarity Movement. Syria responded to Tuesday’s Israeli missile strikes with missiles of their own today, firing at least 20 targets in Golan Heights, the Syrian territory that Israel seized in 1967. Israel then attacked almost all Iranian infrastructure in Syria. ... Maggiori informazioni Germany, France, and Russia have called on both sides to exercise restraint, but Middle East observers say this is just the beginning of what could be major hostilities between Iran and Israel. On the regular Thursday series “Criminal Injustice,” about the most egregious conduct of our courts and prosecutors and how justice is denied to so many people in this country, the hosts discuss how to organize a prison strike. Kevin Gosztola, a writer for Shadowproof.com and co-host of the podcast Unauthorized Disclosure, and Paul Wright, the founder and executive director of the Human Rights Defense Center and editor of Prison Legal News and Criminal Legal News, join the show. The state of Louisiana is set to evict about 37,000 elderly and disabled people from nursing homes after the state legislature slashed the budget for Medicaid. Rolling back the Medicaid expansion implemented under the Obama Administration has been a longtime goal of the Republican Party. Notices are being mailed out starting today, and this will literally kick the elderly out on the street. Brian and John speak with Leo Cuello, an attorney and the director of health policy for the National Health Law Program. A group of senators have filed a discharge petition in an effort to reinstate net neutrality regulations. The move aims to force a vote that could lead to the reversal of the FCC’s decision in December to repeal net neutrality. Tim Karr, the senior director of strategy and communications at Free Press, joins the show. Donald Trump’s decision to pull out of the Joint Comprehensive Plan of Action is a major setback for Iranian leaders who put their reputations and political careers on the line to negotiate the deal. Has the president doomed any liberal or internationalist bent in Iran? Mohammad Marandi, an expert on American studies and postcolonial literature who teaches at the University of Tehran, joins Brian and John. Former CIA officer, peace activist, and frequent guest on this show Ray McGovern, as well as Code Pink co-founder Medea Benjamin and several others, were arrested yesterday for allegedly disrupting the Senate Intelligence Committee’s hearing on Gina Haspel’s nomination to be CIA director. They were protesting Haspel’s past history as a high-level CIA officer who was integral to the Agency’s torture program. Medea Benjamin, an anti-war and anti-torture activist who is the co-founder of Code Pink, joins the show. Pakistan’s parliament has passed a law guaranteeing basic rights for transgender citizens and outlawing discrimination in employment, a move hailed by activists as “historic” for the conservative South Asian country. Brian and John speak with transgender activist Morgan Artyukhina.